Over 500 students attended a panel discussing sexuality on Thursday night. More than 500 students gathered Thursday night for the Associated Students panel titled “Sexuality Matters: A Discussion on Homosexuality, Biola and Jesus.” Erik Thoennes, professor of biblical studies, Tamara Anderson, professor of psychology, and vice president of Student Development Chris Grace participated in a question and answer session at the Fireplace Pavillion. “I’m just interested in what kind of stand they’re going to take and how harsh they’re going to be, because obviously we all kind of know Biola’s standard already,” sophomore Rachel Emenaker said before the panel began. 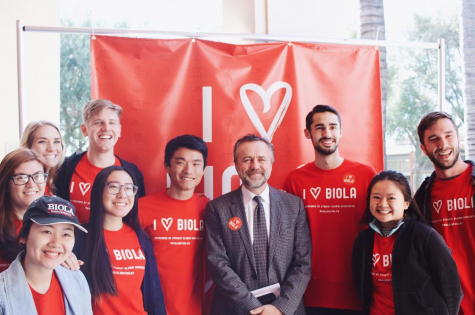 AS religious lectures coordinator Matt Fier, a senior psychology major, asked a few prepared questions about Biola’s stance on homosexuality for the panel to answer before he opened for text-in questions. Fier said he hoped this method of asking questions would help students be more open. 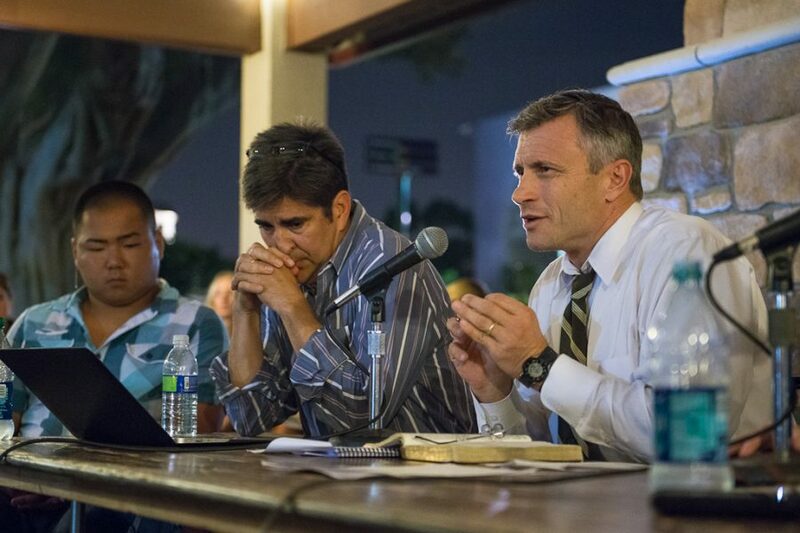 The topics of conversation fell into three different categories: Biola’s policy, community and sin. The panel’s answers revolved around issues of personal identity, relationships, and community among believers and homosexuals. 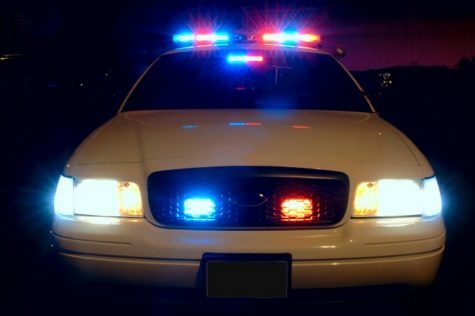 “I think we can ask these questions forever about specific issues — so why don’t we just say Biola feels towards any sin, any dysfunction, any perversion, anything that is a sign of the fall and the curse in the same way: We see it as a tragic result of human rebellion that God is in the process of redeeming and we want to be redemptive agents,” Thoennes said. He also spoke about the tragedy of defining people by their sin and limiting their identity to their sexual actions. On another note, Anderson stressed the vitality of personal relationships with individuals who live homosexual lifestyles and shared many personal anecdotes about her service on the national Gay, Lesbian, Bisexual Committee and relationships with other committee members. “[My friend] knows that my beliefs differ — that we’re not on the same page — but he knows I respect him, he knows that I’m going to treat him with dignity, and I’m really hoping for the same in return from him,” Anderson said. She explained that her relationships, some of which have lasted 16 years, developed over time. In order for these relationships to begin, there must be interaction with the gay community outside of the Christian subculture, she said. Grace spoke many times about Biola’s stance on the issue and how the university responds to individuals who struggle with homosexuality. Some thought the panel served the purpose of having a family discussion on the topic of homosexuality, while others did not. “It’s hard when you’re talking about such a controversial topic and you can see from the questions that not everyone in the community has the same belief and holds the same view that homosexuality is in fact a sin and that there is something wrong with it,” sophomore communications major Laney Penn said. Penn said she thought the panelists successfully stood firm while holding to a scriptural base. However, not all students shared Penn’s opinion. “I think that its hardly a discussion if you only have one side crammed down people’s throats all the time,” said William Haggerty, a senior business major. He suggested that a debate format may be helpful in hearing from the other side. After seeing the panel, though, he said it seemed that Biola wasn't willing to host a pro-gay voice to balance the conversation. Breanna Williams, a senior intercultural studies major, seemed to share Haggerty’s belief in the need for diversity. “Maybe just like [legitimately] looking at the other side of the argument rather than just going, ‘Oh, it’s a sin.’ There [are] Christians who think that it’s not biblically wrong and that its interpretation of the text so maybe to have like an actual discussion and really look at the other side,” Williams said.